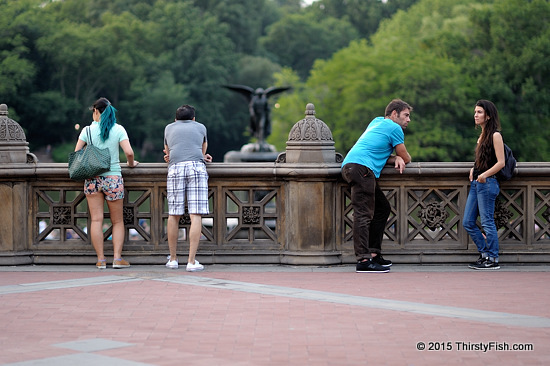 Two couples on Bethesda Terrace at Central Park with the Angel of the Waters Statue peeking in the background. "Bethesda" translates from Hebrew/Aramaic as "House of Mercy" and refers to the Biblical Pool of Bethesda. It is associated with healing.